We only service Honda and Acura vehicles. We simply want to be the best at what we do. Whether you need routine preventative maintenance, a NC State Inspection or complicated in-depth diagnosis and repair, GT Imports wants to be your one-stop Honda & Acura Service Facility. You’ve found an auto repair shop created just for you. With all Honda and Acura drivers in mind, we started GT Imports Limited as an alternative to the high-priced dealerships. Our services are just as good, if not better, because we come from the same place. We know what we’re doing, and we know why we’re better. No matter what repairs or maintenance you need for your Honda or Acura, we got you covered. It’s not only during a breakdown that your vehicle needs special attention. You also need technicians that know your vehicle inside and out. 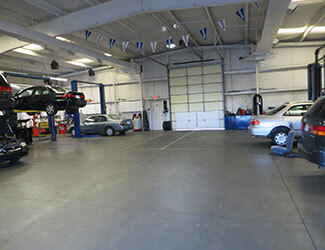 We can place your car on a maintenance schedule that’s perfectly suited for it. This will prevent any number of expensive repairs down the road. Bring your Honda or Acura to GT Imports Limited for repairs on your brakes, transmission, oil changes, NC Inspections, and much, much more. If there’s an “A” or an “H” on the hood, we can repair it. If you can think it, we can do it. There’s no other repair shop that specializes like we do, so there’s no one else that can take care of your car as well as us. No one else has the confidence or the knowledge and experience to back it up like we do. All parts and work come with an excellent 2 year/24,000 mile warranty. Our reputation precedes us, as we won the 2013 Angie’s List Super Service Award. Today, we look forward to serving you, so bring your Honda or Acura to a shop that will feel like home.